The Year of the Goat is upon us and while you're probably busy with red envelopes, turnip cakes, and fireworks the good people at 'PokerStars LIVE Macau' are putting the finishing touches for the 22nd edition of the Macau Poker Cup (MPC22) which takes place from February 27 to March 15. There's every reason for optimism as MPC22 is expected to be the biggest ever with more than HK$26 million (USD $3.3 million) in estimated prize money. 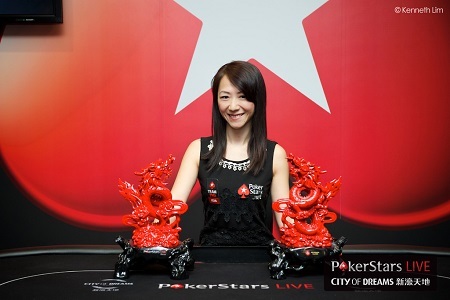 Last year, the Macau Poker Cup series launched the Baby Dragon event with great success as the HK$6,000 buy-in tournament averaged more than 300 runners in 2014. The two-day event takes place in the opening weekend with a prize pool expected to be closer to HK$2 million than its HK$1 million guarantee. Over the past five years, the first Red Dragon main event of each season has set a new series' record and that trend is expected to continue. The numbers to beat? 995 unique entries and HK$9.6 million prize pool. You would have to go as far back as 2010 to find the last time the legendary Red Dragon was held in March. It just so happens that was also the biggest jump (187% YOY) for the main event largely due to extra time for online qualifying. The buy-in has also seen a bump from HK$11,000 to HK$12,000. So don't just take my word for it. The math adds up to the biggest ever Red Dragon for one lucky slayer. When the HK$20,000 buy-in event was introduced in 2013 it attracted a respectable 62 players. But last year, the tournament made a giant leap to 179 runners and obliterated the HK$1 million guarantee with more than HK$3 million up for grabs. The 20K NLH event has quickly become a coveted consolation prize for those who don't make the Red Dragon final table. In 2014, PokerStars LIVE Macau brought back the High Roller event after a brief hiatus. Amazingly, not only did players embrace the return of the HK$50,000 tournament but they wanted a bigger buy-in and organizers made the rare in-season adjustment to up the buy-in to HK$80,000. The result was a HK$2.9 million event turning into a HK$4.4 million event. Let's just say the High Roller event is here to stay. MPC22 gives the everyman a chance to win one of the many exciting titles on the schedule. ONLINE -- Both the Red Dragon and Baby Dragon have qualifiers running right now. Find the online satellites under the 'PSLIVE' and 'Macau' tabs on the PokerStars client. 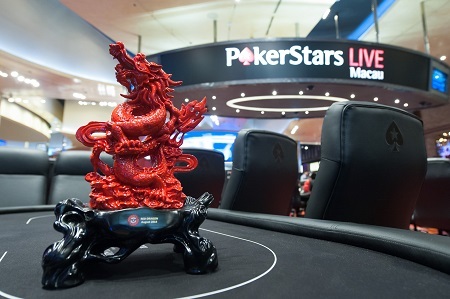 LIVE - Starting from as little as HK$600 you could win an entry to the Red Dragon, Baby Dragon, 20K NLH, and even the High Roller. Expanding to a 17-day schedule is no small task and improvements were always coming. The biggest new entry is surely the HK$5,000 Megastack event (March 6-7) which comes with a huge starting stack of 30,000 chips and a HK$500,000 prize pool guarantee. For players with just one week to spare, this is your designated starting point on the eve of Red Dragon, Day 1a. Those looking to make the most of their poker getaway will be inclined to play Day 1a or 1b of the main event so they can partake in the HK$5,000 NLH (March 9-10) and HK$1,500 Full Tilt Poker Flipout (March 10). MPC22 is double-special for those seeking fame and glory as it's just one of a handful major poker festivals in the 2015 season that count towards both the Asia Player of the Year leaderboard and newly-created GPI Asia-Pacific Rankings. Team PokerStars Pros already confirmed for MPC22 include Bryan Huang, Vivian Im, and 2-time Red Dragon winner Celina Lin. Remarkably, that trio also own three Red Dragon runner-up finishes amongst them. Kosei Ichinose and Aditya Agarwal will be making their Asia debut bearing the red spade patch.